Are you looking for ways to save on pet supplies? Although you love your pet, it’s still wise to try and save money when you can. It’s so hard to keep your own grocery budget reasonable, but pet supplies can be even tougher to figure in. Check out some of these ways you can save on pet supplies. If your pet isn’t on a special diet and you can swing ordering supplies online, go for it. Places like Amazon.com have all sorts of items for sale online and you don’t need to leave your house to get it. You save even more money because you aren’t using gas to pick up supplies. Not all pet supplies can be bought in bulk, but the majority can. Watch out for sales on bulk items because that’s where the real savings are. Places like Sam’s Club and Costco are all great places to buy your pet supplies in bulk. You can buy most pet supplies on clearance, except food. You don’t want to switch up your pet’s food with that short of notice. Buying pet supplies on clearance isn’t something you can plan for, but you can stock up when you come across the sales. Cat and dog toys are almost always super cheap post holidays in the clearance section. Grab he holiday treats and let them use them year round. If you’re up for it, consider making some pet supplies yourself. There are tons of tutorials on Pinterest such as “how to make your own doggy bed” or “making your own doggy toys.” This is a great time to get creative with your DIY skills. 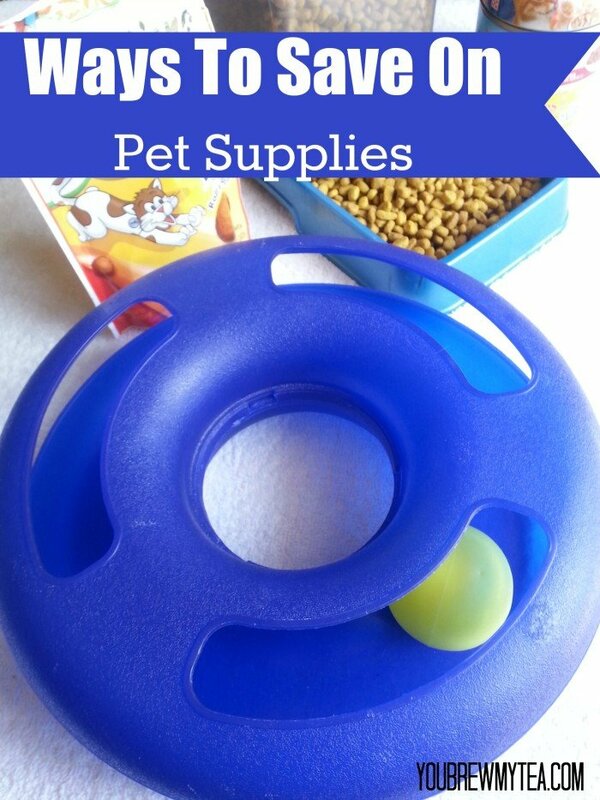 Overtime, you can save a lot of money by making some of your own pet supplies. You can even find some great recipes for homemade dog treats over at our friends site DogVills. This isn’t always the case but sometimes you can save money on pet supplies by buying directly from the vet. Some veterinarians get awesome specials directly from the vendors which can result in you saving even more money. You can also find rebates and samples at your vet a lot of times that you won’t find online. These tips for ways to save on pet supplies are great and easy to put into place in your daily life. Being able to provide for your pet he things they want and need without breaking the bank is so important! Check out these other great ways to save!